I have a Synology DS213+ NAS I use to back up computers and files. Synology recently updated the DSM OS to version 5.0 which I wanted to try on my NAS. 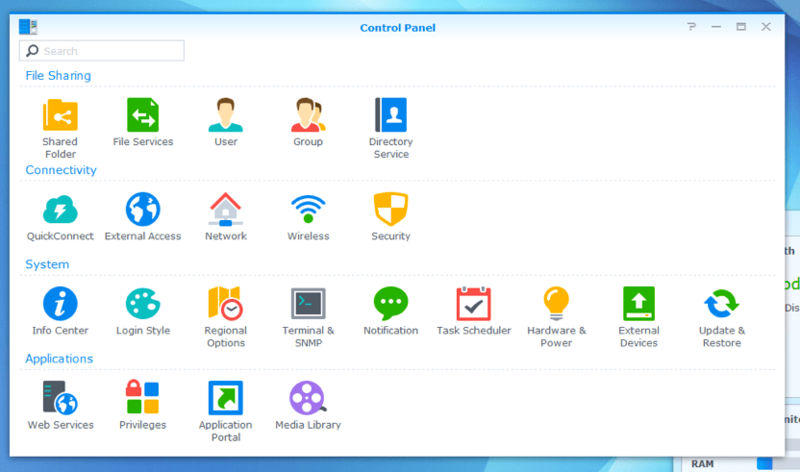 Updating a Synology NAS is very easy being just a one click update from the control panel. The update took around 5 minutes and came right back up even with the fact I was doing this all over a remote VPN client connection. Keep in mind there is a recent update to install after the version 5 upgrade is complete so this could take a total of 10-15 minutes. 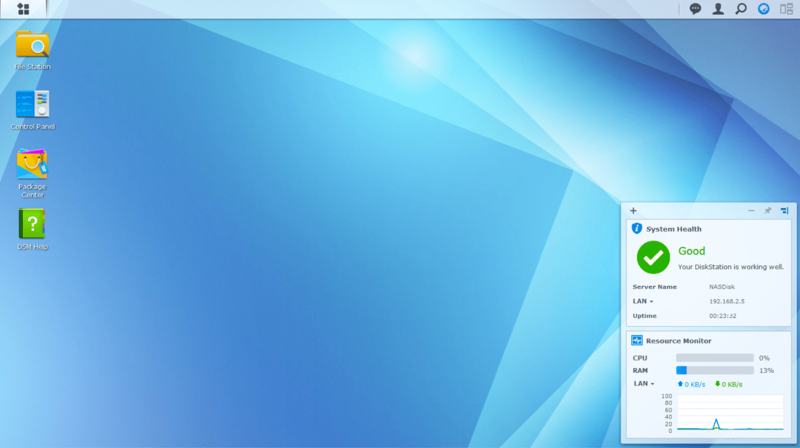 Once the update was complete the GUI of the Synology was visually enhanced. I would compare it more along the lines of OSX and Apple UI’s. Overall everything you can expect from Synology still works and a few more bells and whistles. One such feature is the QuickConnect setup which will configure remote management of your NAS automatically setting up port forwarding and a dynamic dns name. Since I have my NAS behind a Meraki MX60 this wouldn’t work for me so I skipped it. The update did not slow down the NAS interface at all it may even have sped it up. hi there, i also use meraki mx60. why is it that we cannot use quickconnect? how can i remotely access my synology with meraki mx60? what are the settings i need to have on synology and/or mx60?